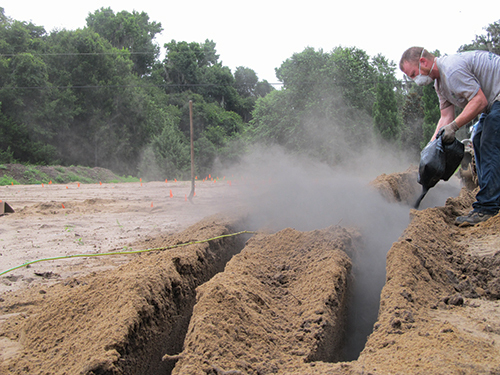 Why two-wire irrigation systems are growing in popularity. Two-wire systems, once only used for projects with 100 stations or more, are now used on jobs with around 30 stations. It takes awhile for landscape contractors to trust new types of irrigation technology, so traditional ones have prevailed. 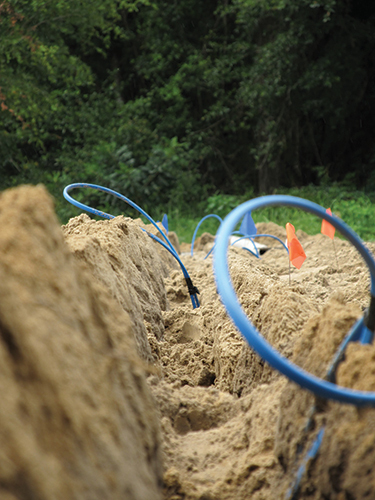 In the past five to 10 years, two-wire systems have steadily become a contender in the irrigation industry. Helping spur this system’s popularity have been advancements in information technology. New technologies include updates to the microprocessors and communication methods, such as WiFi—which allows contractors to access these systems through the cloud. Landscape contractors are also starting to use two-wire systems for smaller projects. Two-wire systems can be used on a variety of sites, but there are certain types they are specifically designed to manage. Installers can cap the wire at the end of phase one and add to it in future phases. “With a traditional system, you have to plan everything out and wire it up from the beginning,” Azad says. The systems are also ideal for large master-planned communities. “Instead of having multiple controllers, you can use a two-wire system and go in any direction—as long as you don’t exceed its limits,” says Jon Kirk, irrigation efficiencies service manager for WaterCentric in Carrollton, Texas. WaterCentric offers a variety of water management services such as irrigation installs, repairs and audits. The company has $4 million in annual revenue and serves mostly commercial clients. Additionally, two-wire systems can run longer on linear sites compared to traditional systems. Two-wire systems have long been attractive because they require less copper wire than traditional systems. These systems may have cost and installation benefits. A big reason for choosing a two-wire system is because they require less copper wire than a traditional system, and the price of copper continues to rise, Azad says. “You’re probably going to save 80 percent on wire with a two-wire system, compared to traditional,” Kirk says. It also takes less time to install a two-wire system. “Rather than install a single pilot wire and looped common wire to each valve, a pair of wires is all that’s needed,” Parker says. 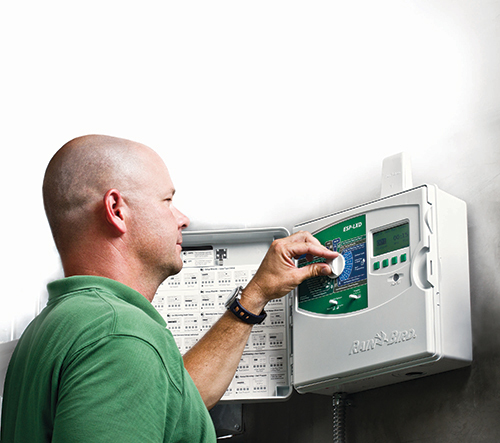 Installers don’t have to “tone” or “ring-out” wires when connecting the controller, Parker adds, because each valve has a programmed decoder with a corresponding number. Some two-wire systems also can be added to existing wire already in the ground. “Other systems require jacketed and/or twisted pairs of wires, so it’s important to educate yourself as part of your product selection,” Parker says. Another advantage is the property manager can control the entire system from one station, instead of having to visit several. There can be disadvantages to using two-wire systems, however. In some cases, that can mean adding ground rods and surge suppression decoders. “Depending on how the wire path is laid out based on site conditions, the cost of grounding can diminish cost savings when compared to a multiwire system,” Parker says. Installers also have to be more careful with the wire, compared to traditional systems, because little cuts or nicks can cause communication problems with the system and even complete failure. “To bring it to the masses, the technology needs to be redefined so that imperfect installation techniques don’t affect the system,” Azad says. There are controller-related advantages to using two-wire systems for contractors and property managers. In the future, Azad says there will be more advanced diagnostic and troubleshooting features, along with improved surge protection. Contractors also will see more system integrations with two-wire, Shannon says. For example, the irrigation and lighting systems could communicate with each other. At some point, the industry will switch from traditional to two-wire systems altogether, Azad predicts. “That will happen over a very long time,” he says. For two-wire systems to gain traction going forward, Kirk says it’s going to take more education for contractors and customers. Dowdle is an Alabama-based freelance writer.